With the rising costs of just about everything, businesses are looking to be more efficient and increase productivity, particularly in the workplace. The increasing cost of healthcare has made many people almost afraid to seek medical attention. Let’s face it, computers are everywhere. As much as they may frustrate us at times, they save time and make our lives much easier. This is especially the case with electronic health records (EHR). Electronic health records not only help improve efficiency in the medical practice but also save time and money. 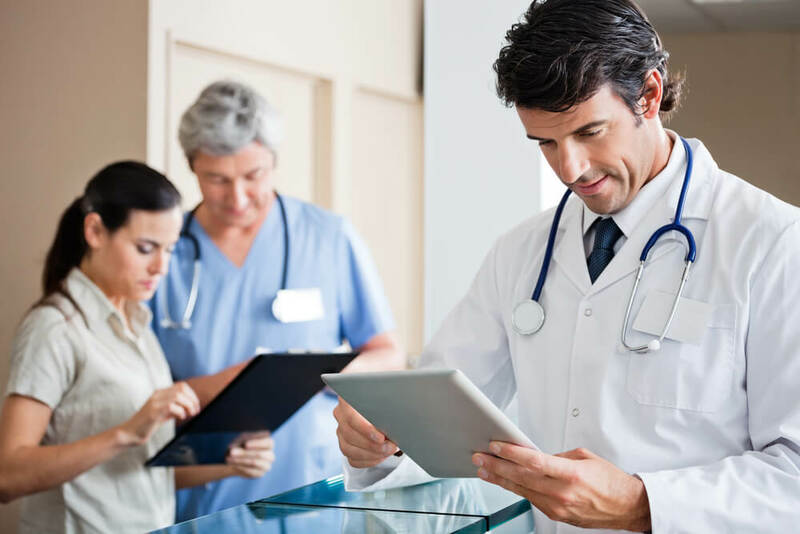 EHRs also make it easier for other medical professionals to quickly access a patient’s medical records without having to shuffle through piles of paperwork. Although similar to EHRs, electronic billing is done with medical billing and coding software. All the medical professional has to do is punch in a code for the treatment the patient received and a bill in automatically generated. Gone are the days of typing up each individual patient’s bill and manually adding their totals. Have you stopped and thought of how much time is wasted trying to type up a document or report, going back to delete, edit or spell-check? Believe me, a lot of time is wasted. Voice recognition software, such as Dragon Medical, takes the aggravation out of trying to type up a report quickly and error-free. E-mails are used in almost every business today. They’re even used in medical practices, although they’re usually just used among the staff. Many medical practices are using e-mail to verify appointments as well as to provide the patient with a report of his or her latest visit to the doctor. It’s something that can be sent to the patient quickly thus saving time and allowing the doctor to see more patients in a day. Most employers will quickly agree that it adds efficiency when their employees are cross-trained However, it’s not efficient when more than one employee is working on the same task. What often happens is that they’re getting in each other’s way and taking a lot longer than necessary to complete the task. Each employee should complete their own tasks and duties. Although we’ve all complained when we called a business and received automation rather than a live person, this is efficiency on the part of the business. A lot of hours are wasted each day answering phones and transferring calls manually. A medical practice is not a place where time should be wasted – time that is needed for quality patient care.